brothers. She credits her mother, her aunts, and her grandmother with her love of storytelling. 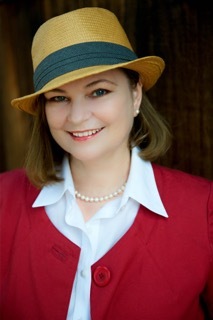 Perfecting her craft, she attends many writer's conferences and over the years, she has won and finaled in numerous RWA romance writing awards including the Daphne du Maurier Award, the Maggie Award, The Molly, The Tara, and she was the overall contest winner of Launching A Star. Today she lives in Coastal San Diego with her fabulous husband, her two wonderful girls, and a dozen disobedient rose bushes. Grounded Hearts tells a beautiful story of strong women in Ireland in World War 2. I didn't know that Ireland was neutral during World War 2, nor did I know anything about their internment camps. Jeanne M. Dickson did her homework on the history of the area and the role Ireland played during the war. I like the main character, midwife Nan. She has a heart of gold, that's been broken. Yet, she's selfless when it comes to taking care of others. I love the strong and loyal bond the women of the story share, as well as the setting. Nan's cottage is cozy. Then there is the flyboy, "Dutch". He's a strong, yet tender man who wants nothing more than to fly his fighter plane against the evils of Hitler. As I read the book, I didn't want to put it down. It's not a gentle inspirational book. Instead, the story deals with emotions, passion, sin, war, and love. The men of Ireland were drinkers and the women said what was on their minds. But the story is a beautiful tale of redemption, second chances, forgiveness, loyalty, and love. 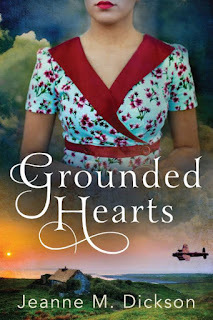 If you enjoy honest, historical fiction, you'll want to read Grounded Hearts. I give it five stars for the excellent writing and moving story. I received this book for free.